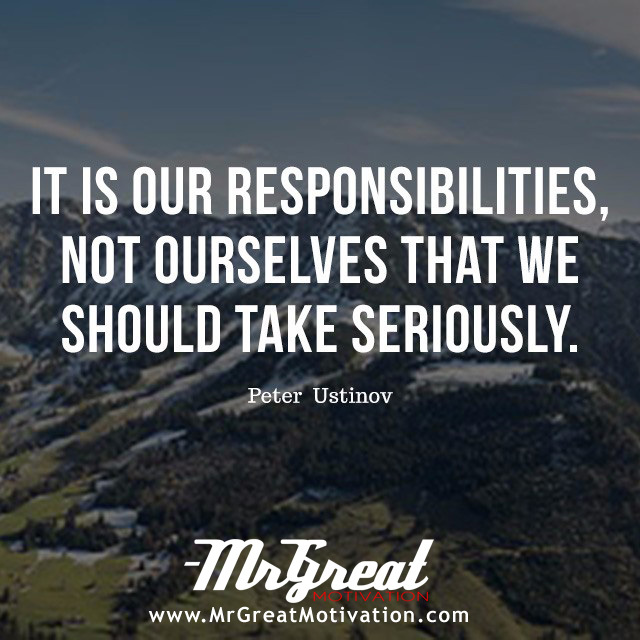 It is our responsibilities, not ourselves that we should take seriously. It’s a simple truth that all human beings make mistakes and poor choices. The same goes for when we fail to act when we know we should. There are times when we all look the other way when we know the right thing to do is to take helpful action. So, you should first understand one thing – you’re not the first person nor will you be the last who has made mistakes. One cannot start by saying that our earthly destiny has or has no importance, for it depends upon us to give it importance. It is up to man to make it important to be a man, and he alone can feel his great accomplishments or failure. We should explore not only responsibility we have to ourselves to give our existence meaning but the responsibility we have to others in the actualization of their freedom. In doing so we shall defend humanity against the horrors it had just witnessed. We do not excuse them, but rather offers a path out. It is, in a sense, hopeful. Turning away from the destruction and the regimes that perpetrated it, we can analyze space where we can continue to call ourselves human.